Homeowners who want to reduce their interest rate and to get cash out of their home may want to do a cash out refinance of their first mortgage. How does that work, and what are the advantages and disadvantages for homeowners refinancing to get money back? Below is more information. Use this article to guide you on whether or not a cash out mortgage refinance fits your financial goals. When you refinance your first mortgage, you are paying off the loan and replacing it with a new loan with a lower interest rate. This will allow you to save on your monthly payment, and possibly save many thousands in interest over the loan term. If you just want to refinance for a lower rate, that’s all there is to it. This type of loan is referred to as a rate and term refinance. But if you want to access some of the equity in your property, you may want to do a cash out mortgage refinance. So, when you do the new loan, it will be for a larger amount than what you had before. Once you have closed the new loan, the new mortgage consists of the original balance before you refinanced, plus however much you pulled out. When receiving cash back in addition to the refinance, your payment may well end up being higher, but you are paying a lower interest rate. It’s higher of course because the balance you are paying on is higher. When choosing a lender or bank consider this; there are programs from conventional, subprime and FHA cash out refinance programs. This is great, because in many instances, you will have more than one option when refinancing for cash out. You only should refinance your first mortgage if you are going to save substantially in the interest rate. No one should refinance a loan into a higher rate, and many lenders will not even do it. You should be able to save at least $50 or $100 on your monthly payment, if you were not taking out any cash. A mortgage refinance with cash out is a good idea usually when you can save at least .5% or more in interest, and you have enough equity in the property to tap. 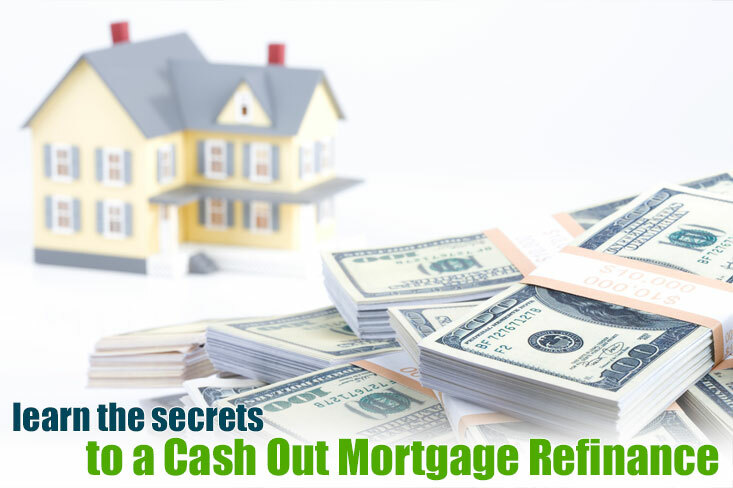 Most lenders will not do a cash out refinance if the amount you are pulling out is less than $10,000. 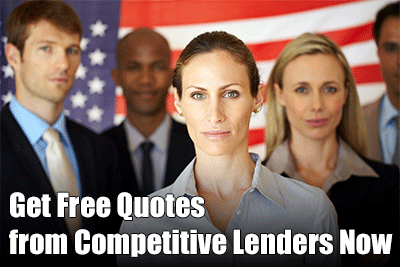 Some lenders may require the amount to be $25,000 or more. If you are in a rising interest rate market and your first mortgage rate is lower than current rates, you should leave the mortgage in place. It also may not be a good idea to refinance the first mortgage if you have been paying on it for many years. If you start the mortgage over with a refinance, you will end up paying a lot more in interest than you are now. If you are going to leave the first mortgage alone, what are your other options? Fortunately, you have the option of taking out a second mortgage. The second mortgage will be in an amount equal to the amount of equity you are pulling out. If you are able to take out $50,000 in equity, you would then have a second mortgage in addition to the first. Second mortgages are available as either an equity loan or a home equity credit line. A home equity loan is a lump sum, fixed rate loan for a set period of time. You pay that loan in addition to your first mortgage every month. The home owner receives his or her equity in one lump sum, and starts paying interest on that amount right away. A home equity loan has a higher rate than a first mortgage, but it is still quite reasonable. It certainly is much lower than what you would pay in interest for a credit card loan. The other option is a home equity line of credit. This is a credit line very much like a credit card that you use based upon the amount of equity in the home. The bank will approve you for a certain amount. You can take money out whenever you like up to that amount. You only will pay interest on what you use. Whenever you like, you can pay back the loan and pull money out again if you wish. There is a draw period on home equity credit lines loans of five or 10 years. Then, you must start paying back the loan, both principal and interest. During the draw period, you can often pay back just interest. The rate on a HELOC is flexible and can change with the market rates. Note that the HELOC rate is lower than a home equity loan at first. This is why it is the choice for the majority of people who take out a second mortgage. But the payment will rise in the future, so it is important to know this and be able to pay the loan in the later years. A cash out mortgage refinance, HELOC or home equity loan can be good ways to tap the equity in your home for your financial needs. It is important, whichever option you select, to use the money wisely. The best use of your equity is in such a way that will pay you back with interest. The most common use of home equity is for home improvements. Done right, home improvements can pay you back in terms of a higher home value when you sell. Other home owners may use equity to invest in a business or real estate. Others may pay for a college education. It is wise to use equity in a way that will make you money. Buying a depreciating asset with home equity – a fancy sports car, for example – is usually a bad financial move. So make certain that you are using your home equity for the right reasons.